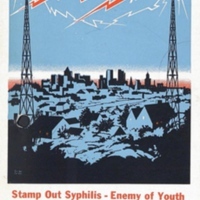 "Stamp Out Syphilis--Enemy of Youth"
This is a publicity poster for National Social Hygiene Day 1938. 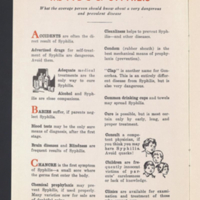 "Stamp Out Syphilis" is being broadcast over a suburban community. 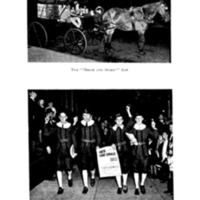 "Diseases of Youth, Syphilis and Gonorrhea"
"Gonorrhea Strikes Same Age Groups But is 3 Times More Prevalent"
This poster compares the prevalence of primary syphilis among different age groups of men and women. The text and the bar graph indicate that young people have the highest rates. 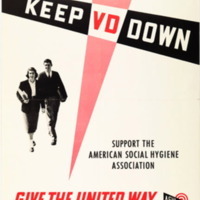 "Support the American Social Hygiene Assciation : Give the United Way"
"He's Doing His Job...Let's Do Ours!" 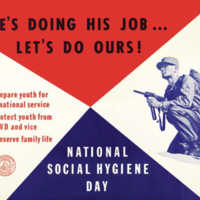 "Prepare youth for national service : Protect youth from VD and vice : Preserve family life : National Social Hygiene Day"
This poster ties social hygiene efforts to those of servicemen. It is also promoting National Social Hygiene Day. 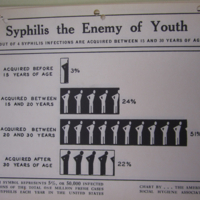 "Syphilis the Enemy of Youth"
"3 out of 4 syphilis infections are acquired between 15 and 30 years of age." This infographic breaks down the percentage of new cases of syphilis each year by age. Most who acquire the disease do so between the ages of 15 and 30. 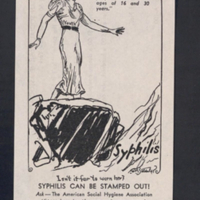 "Stamp Out Syphilis--Enemy of Youth!" 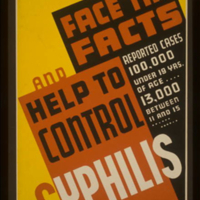 "Face the Facts and Help Control Syphilis"
"Reported Cases : 100,000 under 19 Yrs. 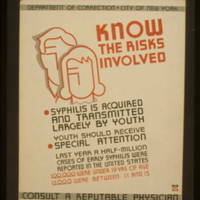 of Age : 13,000 between 11 and 15"
This poster presents statistics about syphilis among young people. 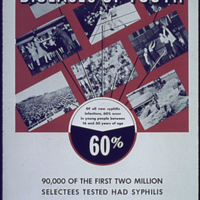 "Of all new syphilis Infections, 60% occur In young people between 16 and 30 years of age : 90,000 of the First Two Million Selectees Tested Had Syphilis"
This poster uses statistics in order to convey that young people are significantly affected by syphilis.